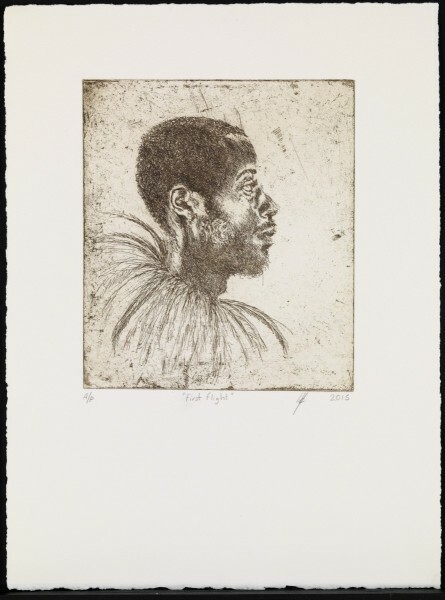 In June we agreed the acquisition of Lynette Yiadom-Boakye’s print edition First Flight 2015 for the Stanley and Audrey Burton Gallery at the University of Leeds. 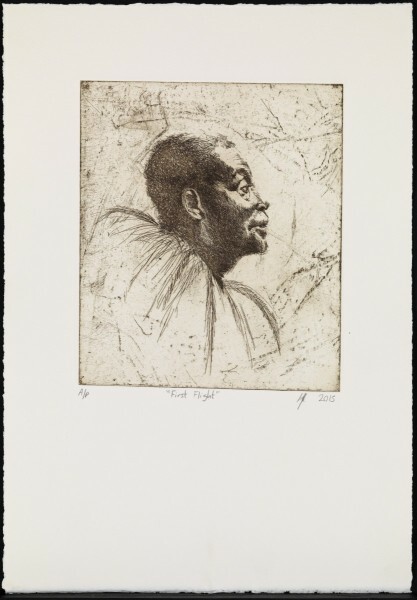 The Gallery has been a Museum Member since 2013 and has a very distinguished collection of works on paper and prints that includes Gaudier Brzeska, Richard Hamilton, Karel Appel and Vanessa Bell. 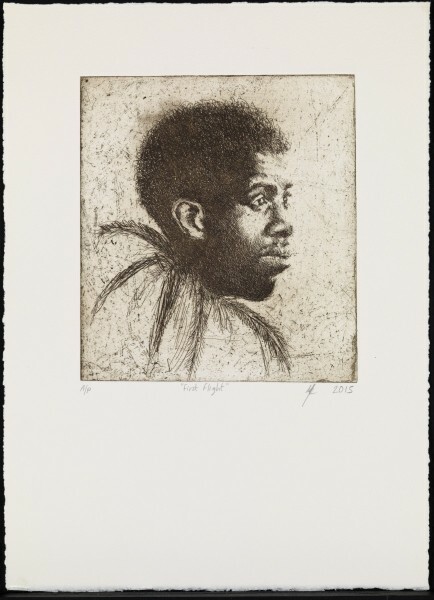 Yiadom-Boakye’s edition of ten hard ground etchings were first shown at her acclaimed exhibition at the Serpentine Gallery this summer. 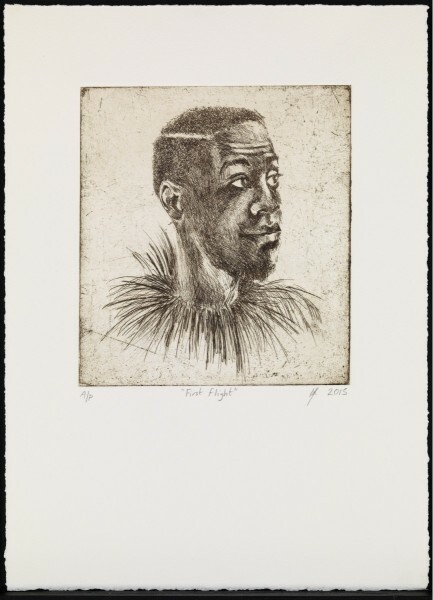 The ten portraits depict single black male figures wearing the ruff of feathers that has become a familiar motif in her work. Each man appears in profile or three-quarters profile, each a slightly different generation- the fascination arising from the differences in demeanour and expression, variously contemplative and amused. 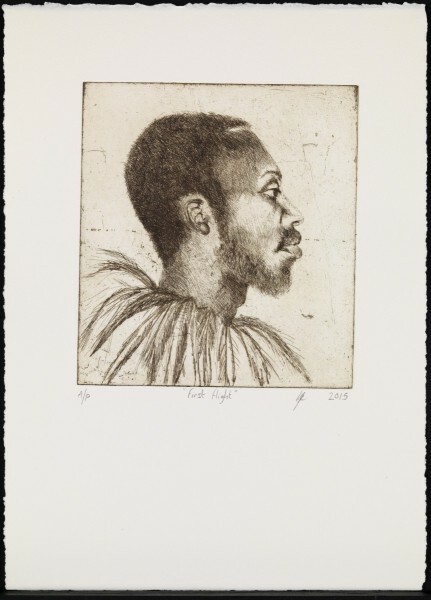 The subjects of all Yiadom-Boakye’s portraits are always entirely imaginary, rather than drawn from life; the artist has been much praised for her critical engagement with a history of figurative art. 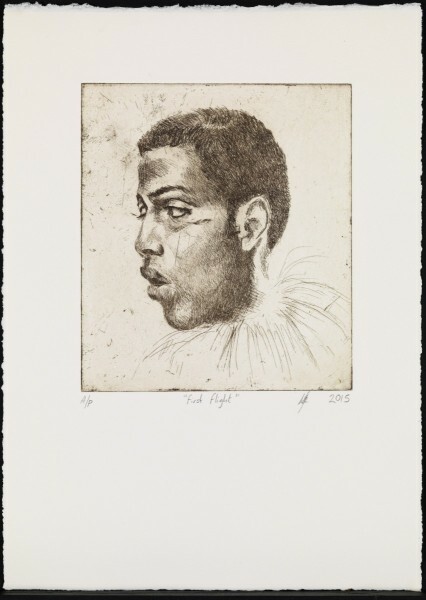 Etching has emerged as central to her overall project, and First Flight is the most substantial edition she has made to date. 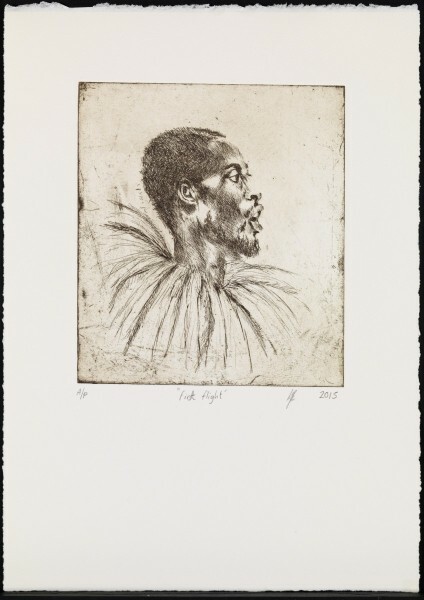 Lynette Yiadom-Boakye (b. 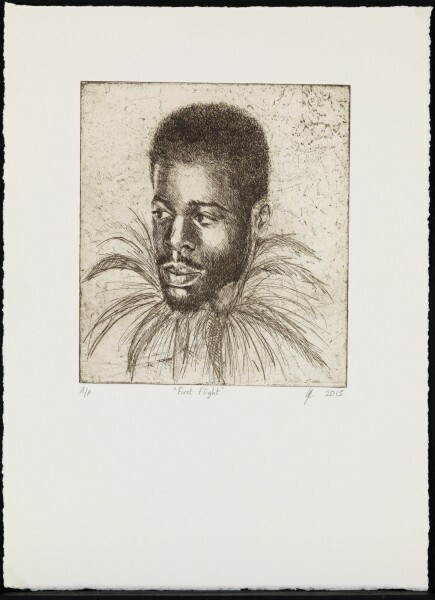 1977, London) is currently exhibiting her solo show Verses After Dusk at the Serpentine Gallery, London. 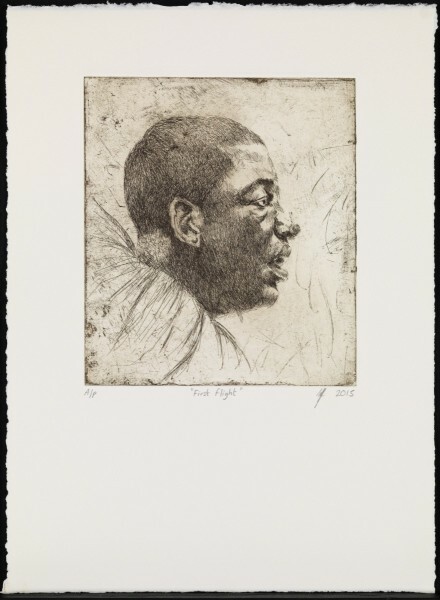 Recent solo exhibitions include Chisenhale Gallery, London, 2012 and Studio Museum in Harlem, New York, 2011. Her group exhibitions include Ungovernables: 2012 New Museum Triennial, New Museum, New York, 2012; the 11th Lyon Biennial of Contemporary Art, Lyon, France, 2012; the Encyclopedic Palace at the 55th International Art Exhibition, La Biennale di Venezia, 2013; and the Sharjah Biennial 12, 2015. 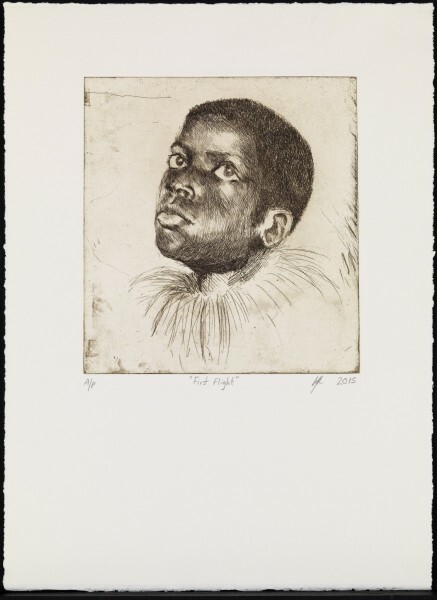 In 2012 she received the Pinchuk Foundation Future Generation Prize and in 2013 she was shortlisted for the Turner Prize.